Finmarc Management, Inc., a Bethesda, Maryland-based commercial real estate firm, has announced the acquisition of a 26-building portfolio, comprised of approximately 950,000 square feet of commercial office, flex/office and warehouse space in the Northern Virginia marketplace from First Potomac Realty Trust for $96 million. The portfolio is situated throughout Reston, Herndon, Manassas, Merrifield and Chantilly and is cumulatively 76% leased with more than 70 tenants. Finmarc currently owns and manages seventy-two office, flex, industrial and retail properties as well as several residential projects in the Mid-Atlantic area. Finmarc’s entire portfolio now exceeds 5.7 million square feet of space. • Reston Business Campus – Reston, VA: 85,000 square feet consisting of four single-story office buildings. The project is located minutes off the Fairfax County Parkway and the Dulles Toll Road in Reston. • Van Buren Office Park – Herndon, VA: 110,000 square feet consisting of five single-story office buildings. The project is located just off the Dulles Toll Road near the Fairfax County Parkway and Reston Town Center. • Herndon Corporate Center – Herndon, VA: 130,000 square feet consisting of four single-story office buildings. The project is located off Herndon Parkway and is within close proximity to Interstate 66, Route 28, the Dulles Toll Road and Washington Dulles International Airport. • Enterprise Center – Chantilly, VA: 190,000 square feet consisting of three single-story industrial/office buildings and one three-story office building. The project is located off US Route 50 and is adjacent to Washington Dulles International Airport. • Gateway Centre Manassas – Manassas, VA: 102,000 square feet consisting of three flex buildings. The project is positioned near Innovation Park, a public-private collaborative research, data center, government and bio-manufacturing campus. • Linden Business Center – Manassas, VA – 110,000 square feet consisting of three flex buildings. The project is positioned less than one mile from Gateway Centre Manassas and is within close proximity to Interstate 66 and VA Route 234. • Windsor @ Battlefield – Manassas, VA: 155,000 consisting of two flex/office buildings. The project is positioned just off Interstate 66 and near Northern Community College. • Prosperity Business Center – Merrifield, VA: 72,000 square feet consisting of a single-story warehouse building. The project is located near the Dunn Loring Metro Station in Fairfax County. 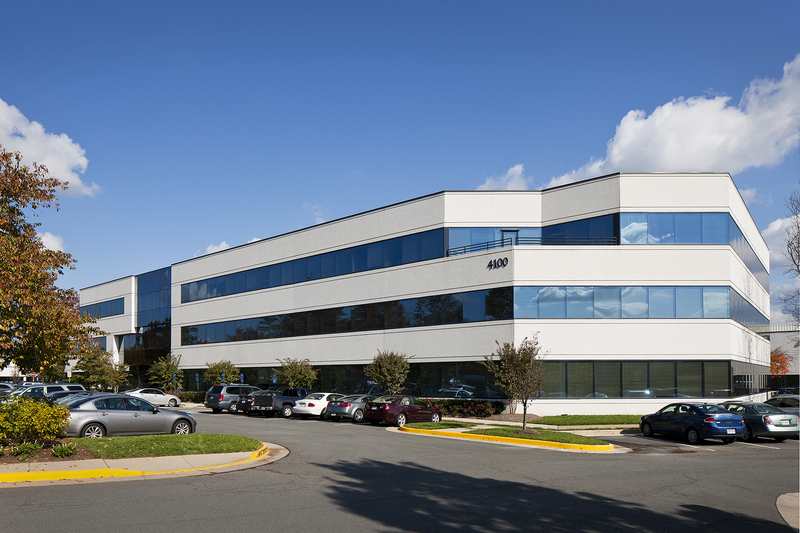 Representative tenants contained within the nearly one-million square foot portfolio trade area include the General Services Administration, Fairfax County, McLean Bible Church, American Public University System, Lennox Industries and U.S. Home Corporation. With this acquisition, Finmarc Management, along with its partners has acquired or disposed of more than $600 million worth of properties over the past three years. Joseph Hoffman and Aaron Rosenfeld of the law firm Kelley Drye & Warren, LLP represented Finmarc Management in this transaction. James Meisel and Bruce Strasburg of Holliday Fenoglio Fowler represented First Potomac Realty Trust in the disposition of this portfolio.